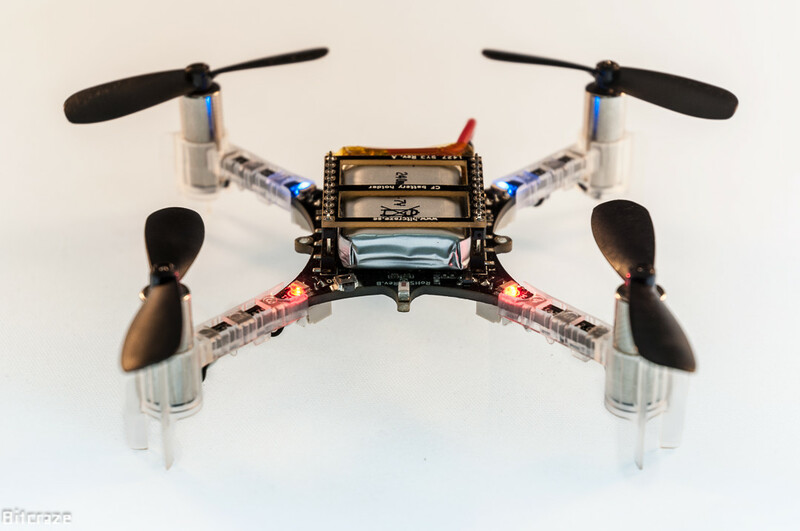 The Crazyflie 2.0 is a versatile flying development platform that only weights 27g and fits in the palm of your hand. It's advanced functionalities makes it ideal for developers and the Bluetooth LE capabilities makes it easy to fly from mobile devices. With it's small size and weight it's ideal for indoor use, but you can just as easily hover above your house as you can hover under your diningroom table. Designed as a solderless kit, the Crazyflie 2.0 is quickly assembled by attaching the motors to the circuitboard frame and it's ready to fly. Supporting multiple radio protocols, the Crazyflie 2.0 can be used from a Bluetooth LE enabled mobile device or from a computer using the Crazyradio or Crazyradio PA. While flying from a mobile device works great, the real power of the platform is unlocked by connecting it to a computer using the Python client that's a available for Windows, Mac OSX and Linux. This enables you to fully use all the expansion boards, to easily trim flying parameters, graphically log data and set parameters. When connected to a computer, you also get the added benifit of being able to use any gamepad or joystick with at least 4 analog axis for flying. The device can easily be mapped inside the client. The firmware and software is continously being updated with various improvements and new features added. The platform supports wireless firmware updates via radio and Bluetooth LE, so when a new new firmware is released it's a breeze to update it. 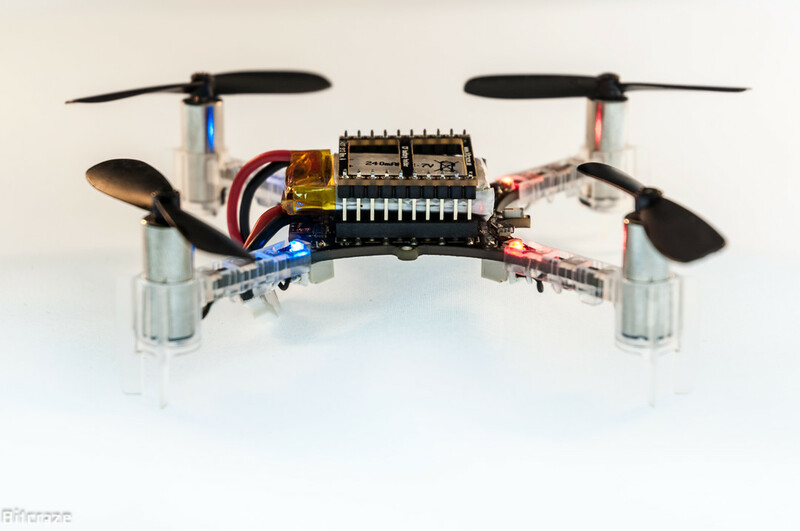 The Crazyflie 2.0 features a 2x10 pin expansion port, where you can connect expansion boards. Either you could use one of the expansion boards, or you could design your own using the Prototype expansion board or Breakout expansion board. For more information on how the expansion board system works, have a look at the Crazyflie 2.0 buyers guide. The Crazyflie 2.0 comes as a solderless kit and has to be assembled. Please see below in the Resource section for links for the assembly instructions.